Baptism is the first sacrament of Initiation and symbolises and celebrated the beginning of a new life in Jesus Christ. Baptism welcomes the person into a faith and a faith community .....the Church. The ceremony of Baptism is of huge significance, it is a lifetime sacrament and also a wonderful celebration. 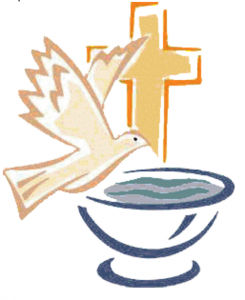 Baptisms takes place on Saturdays at 5.00 p.m. by prior arrangement with the Parish Office.